Rinse chicken, pat dry with paper towel, and set aside. In medium bowl, make a marinade by mixing together the rest of the ingredients. Add chicken to the marinade and stir to coat. Seal and refrigerate for at least 4 hours or overnight. To cook, preheat oven to 350 degrees. Place breasts in an oven safe dish and coat with marinade. Bake until the chicken reaches 180 degrees or for approximately 45 minutes. The chicken is fully cooked when the juices run clear. This entry was posted in Lunch and Dinner, Recipes and tagged celiac, coeliac, dairy free, GF, gluten free in Red Deer, Gluten-free diet, marinade for chicken, recipe. Bookmark the permalink. Looks yummy! Will be trying. I’m always looking for new ways to cook chicken. Thank you! My! My! This looks so yummy! 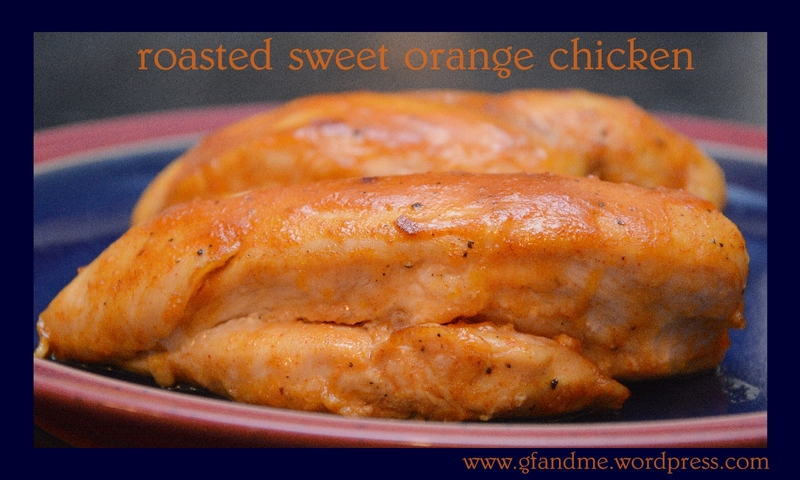 We love anything with chicken and citrus!